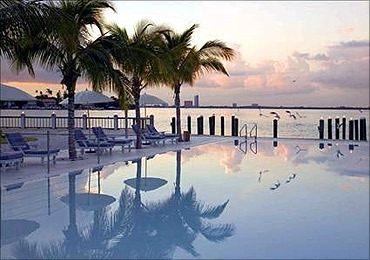 During difficult economic times, hotels - even five-star hideouts - find it difficult to fill their empty rooms. But things are different at the world's most extravagant hotels. Hoteliers say that demand for their swankiest rooms never fell not even during the economic crisis - and the rates for these rooms actually rose during the height of the global downturn. Keeping this in mind, here is a list of hotel suites that still command top dollars. Image: There is always demand for swankiest rooms. 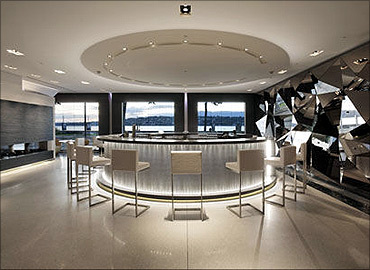 Just a short commute to the UN headquarters in Geneva, the $65,000-per-night Royal Penthouse Suite at President Wilson Hotel promises ultra-tight security for high-profile visitors. Guests can barricade themselves behind sliding armoured doors and monitor visitors on closed-circuit television. Image: Royal Penthouse Suite provides ultra-tight security. The Royal Villa at Athens' Grand Resort Lagonissi sits on a private beach and includes its own heated pool and steam room. The price is steep - $50,000 per night - but the suite is full service, with its own butler, chef and pianist. Image: Royal Villa sits on a private beach. At $40,000 per night, the Hugh Hefner Sky Villa at Palms Casino Resort is pricey, but some of the amenities - like a cantilevered jacuzzi suspended over the Las Vegas strip - are unusual. Image: Hugh Hefner's Villa has unusual amenities. 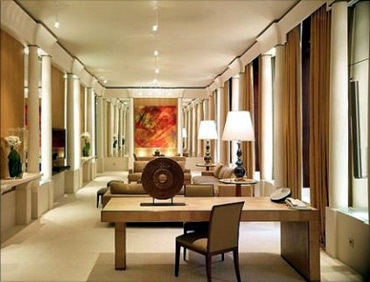 The Ty Warner Penthouse at the Four Seasons Hotel in New York comes with a full-time butler, use of the hotel's Rolls Royce, and spa treatments - for $35,000 per night. Image: Ty Warner comes with full-time butler. The Presidential Suite at Hotel Cala di Volpe in Sardinia (is the second-largest island in the Mediterranean Sea) costs $34,000 per night. Its three bedrooms, two living rooms, three bathrooms, and private pool occupy multiple floors - but the hotel still reportedly charges guests for internet access. 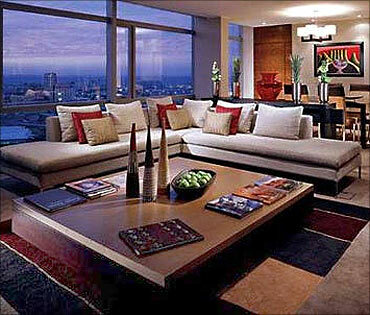 Image: Presidential Suite reportedly charges for internet use. The Villa Cupola suite at the Westin in the centre of Rome offers top amenities to guests willing to pay the $29,255-per-night price tag. 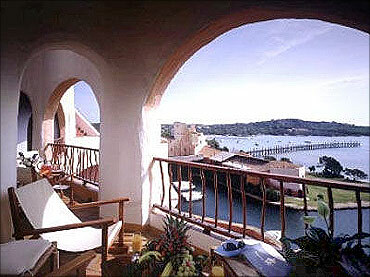 Image: Villa Cupola offers top amenities. 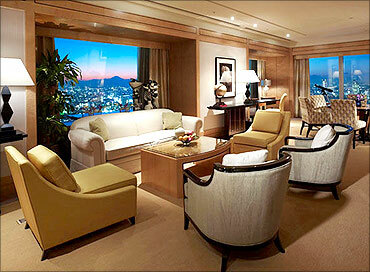 The Ritz-Carlton Suite - the premium suite at the Ritz-Carlton in Tokyo - occupies the 53rd floor of the hotel and is priced at $25,000 per night. 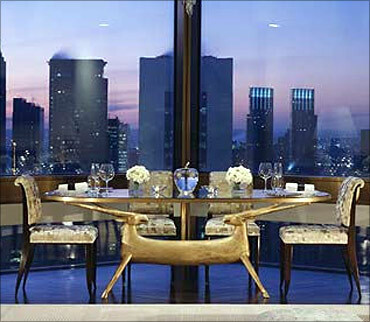 Image: Ritz-Carlton Suite sits at 53rd floor. 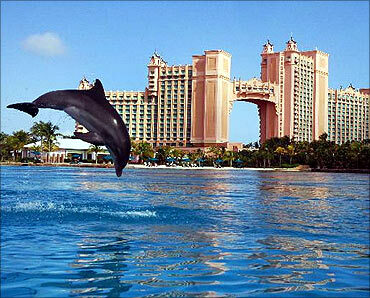 For $25,000 per night, guests staying in the Bridge Suite at Atlantis Paradise Island in the Bahamas occupy a 10-room chamber perched atop a bridge that connects the resort's two buildings. Image: There is a 10-room chamber for guests. NYC's Plaza Hotel prices its premium suite - the Presidential Suite, which has seven bathrooms and includes complimentary use of the hotel's Rolls-Royce - at $20,000 per night. Image: There is a complimentary use of Rolls-Royce. With its high ceilings and spa bathroom, the room rate for the Imperial Suite, the premium suite at Park Hyatt Vend me in Paris, is $20,000 per night. 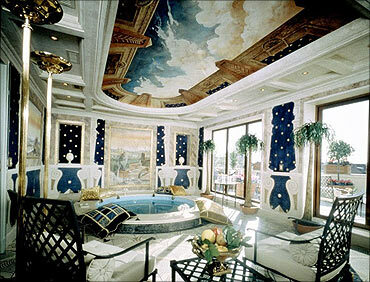 Image: High ceilings and spa bathroom adorn Imperial Suite.